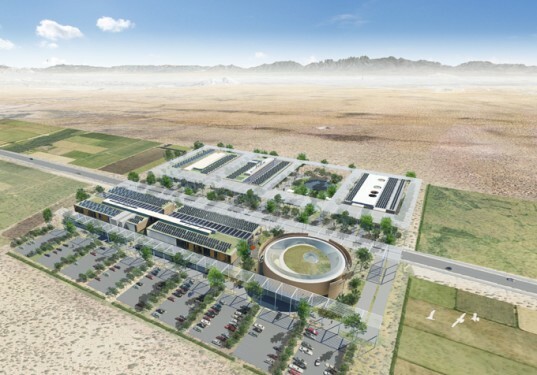 Last year, we reported on The Center for Testing, Evaluation and Innovation (CITE) – a town that would be built over 20 square miles of virgin desert in Lea County, New Mexico in order to test sustainable infrastructure and technologies. This week, more details have been released about this ‘green Ghost City’, and some interesting systems are set to be tested at the $1 billion development. The first of its kind, in scale and scope, CITE will be a fully integrated test, evaluation and certification facility dedicated to enabling and facilitating the commercialization of new and emerging technologies. Modeled after a mid-sized modern American city, it will integrate real-world urban and suburban environments along with all the typical working infrastructure elements that make up today’s cities. This will provide customers the unique opportunity to test and evaluate technologies in conditions that most closely simulate real-world applications. What real-world applications you ask? Well, currently researchers are looking to test everything from intelligent traffic systems to next-generation wireless networks to automated washing machines and self-flushing toilets. The main feature of CITE will be the City Lab, a full-scale, fully functional test city. It will occupy approximately 400 acres and include urban, suburban and rural zones, as well as the corresponding infrastructure. City Lab will be pre-wired for data collection giving researchers the ability to simulate system-wide scenarios and then draw data from such activities. Other areas will include the Field Lab District – a large portion of land area devoted to future public or private lab development, Backbone – a unique underground operations and maintenance system that connects the entire CITE facility and the Research Campus where teams can collaborate on assorted projects. While no one will live there, the city will be designed as if they do with all the houses including everyday systems, like appliances and plumbing. Construction is set to begin on June 30th with companies Pegasus Holdings and its New Mexico subsidiary, CITE Development supporting the project. The initial development cost is estimated at $400m, but overall investment is expected to top $1bn. The project will create 350 permanent jobs. And before anyone comments that this money would be better spent building an actual city, think bigger. Hopefully the innovations tested here will have far reaching benefits for the whole world. 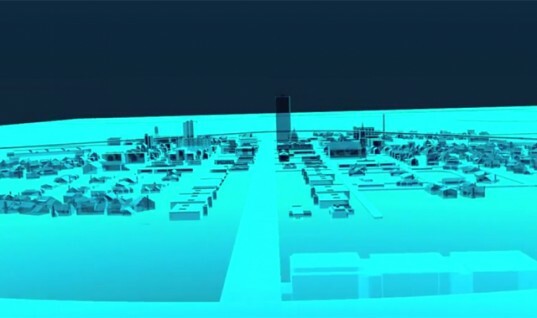 Click below to watch an animation of the futuristic test city. Last year, we reported on The Center for Testing, Evaluation and Innovation (CITE) - a town that would be built over 20 square miles of virgin desert in Lea County, New Mexico in order to test sustainable infrastructure and technologies. This week, more details have been released about this 'green Ghost City', and some interesting systems are set to be tested at the $1 billion development.